Alwen is a two bedroom semi-detached bungalow. 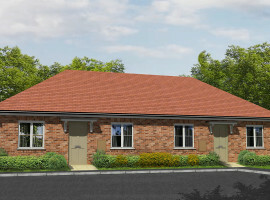 This unique new home has a modern, accessible layout and comes with private parking and a good sized garden. Alwen is a unique two bedroom semi-detached bungalow with private parking. 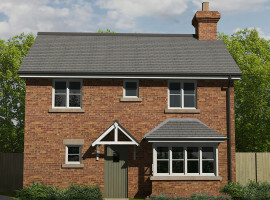 Located on a quiet corner plot backing on to open fields, this new home has a delightful countryside feel. 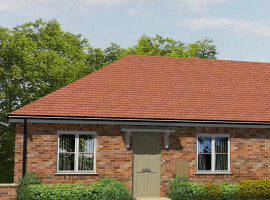 Witham is a detached three bedroom home with garage at Irvine Gardens. This delightful family home offers a generous internal layout, with an open plan kitchen/dining room and a light-filled, dual-aspect living room that opens on to the rear garden. 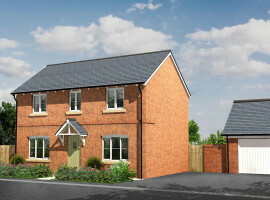 Tern is a spacious home offering versatile open-plan living. The practical layout features a large, open plan kitchen/dining room and a bright, dual-aspect living room, both of which open on to a delightful rear garden. Deveron is an attractive family home with a generous internal layout over three floors. The ground floor features an open-plan living and dining space, ideal for entertaining and relaxing. The second floor is dedicated to the master suite, with walk-in wardrobe and en suite shower room. 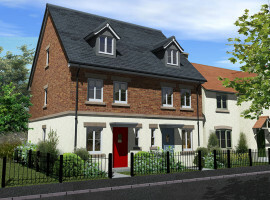 Deveron is a stylish property with a spacious three-floor layout. With an open-plan living and dining space, perfect for entertaining, and a master suite on the second floor with walk-in wardrobe and en-suite, Deveron would make the perfect family home. 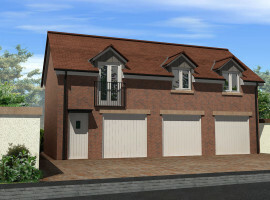 Cassley is a stylish and contemporary coach house with living accommodation on the first floor. This unique property features a spacious, open plan kitchen, dining and living area with Juliette balcony. Deveron is a spacious family home over three floors. The property features an open-plan living and dining space, perfect for entertaining, and a master suite on the second floor with walk-in wardrobe and en-suite. 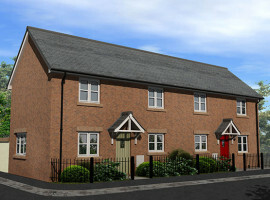 Conwy is a spacious, three bedroom semi-detached home with plenty of room for a growing family. Featuring French doors to the rear garden, Conwy’s open-plan living and dining space is perfect for relaxing at the end of the day. Conwy is a delightful semi-detached property with private parking. With a spacious internal layout featuring an open plan living/dining room that opens on to the garden, Conwy is perfect for growing families.